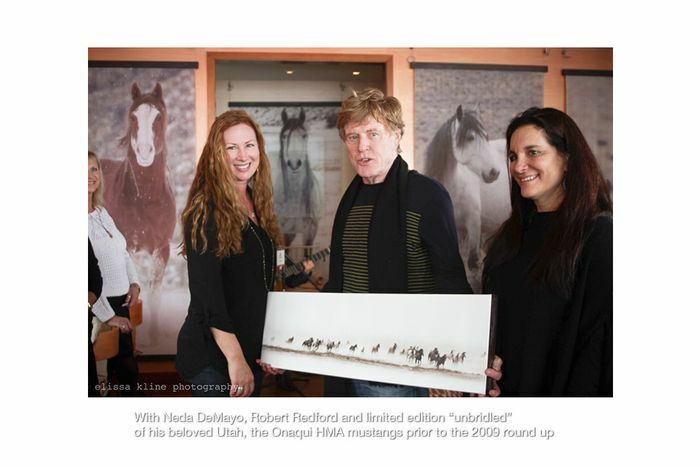 Truly an American Icon...the horses and the man...Robert Redford. Talking with Mr. Redford about this herd showed his passion and commitment to the issue that he so graciously has given his time to. I'm beyond honored that this piece is now in his private collection. Once free, wild horses in Robert Redfords beloved Utah, prior to the 2009 fall round up.